The Institute for Strategy, Technology and Organization (ISTO) just moved houses! Goodbye Schackstr. 4 and hello Kaulbachstr. 45! 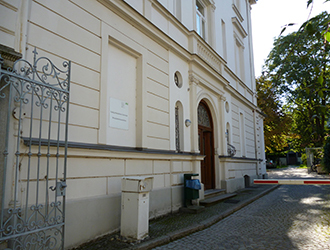 We are happy about our new office which, since last week, is no longer at Schackstraße 4 but at Kaulbachstraße 45 – still part of the in campus of the University though. Tobias Kretschmer, all doctoral students, our team assistance and our incoming associate professor moved to the 2nd floor. Our postdocs and assistant professors are located on the 3rd floor. We hope to get the chance of welcoming you at our new home soon!